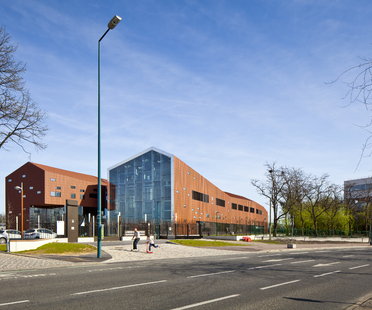 A northern suburb of Paris, the town of Gennevilliers has opened the doors of an important social project. Architecture practice, Brenac + Gonzales designed a vocational training centre that is an urban landmark, where there is a pressing need for territorial and cultural points of reference. Two buildings with a strong material connotation house the wings where local tradecrafts are taught.